After using the water decals sent to me from Born Pretty Store, I may never want to go back to regular nail art again. I fell in love with this look I created for you today! I purchased the Cult Nails Casual Elegance collection when it was available for pre-order, and the first one I had to use was the periwinkle blue for which the collection is named. Like the cremes Cult Nails are known for, it applied like a dream. 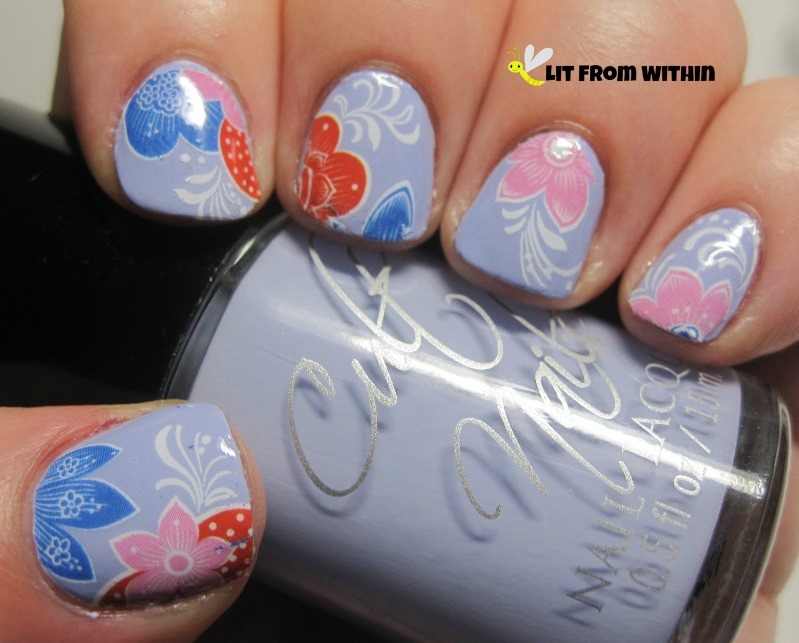 These water decals are so easy to use, and so pretty! All you need to do is cut the piece off, soak it in water for 10-20 seconds, and the decal slides right off the paper backing. Wet your nails a little bit, and slide the decals on. While both the nail and the decal are wet, you can continually reposition the decal until you're happy with it. Once it dries, it's stuck. Acetone removes any overhanging parts of the decal, and topcoat seals it in! 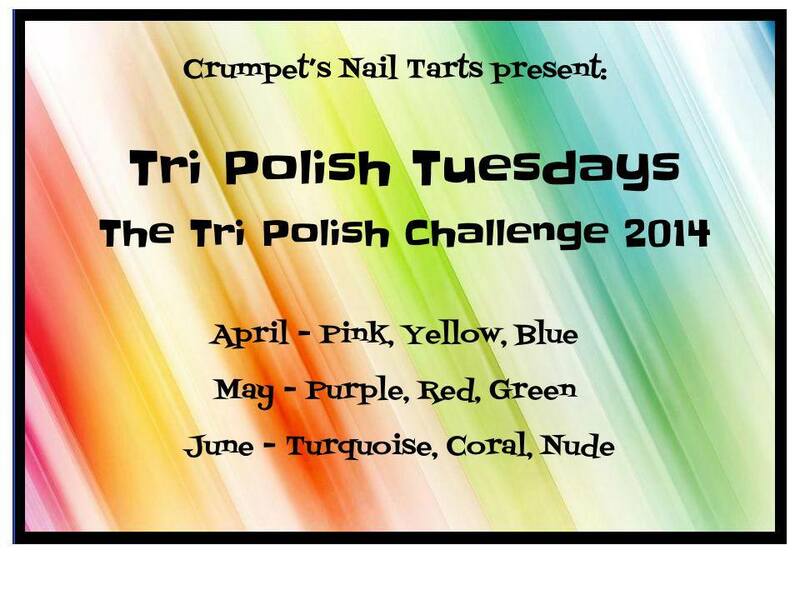 For the Tri-polish challenge, I fudged a little on the yellow part. Orly Shining Star is a yellowish-gold glitter. It counts, right? 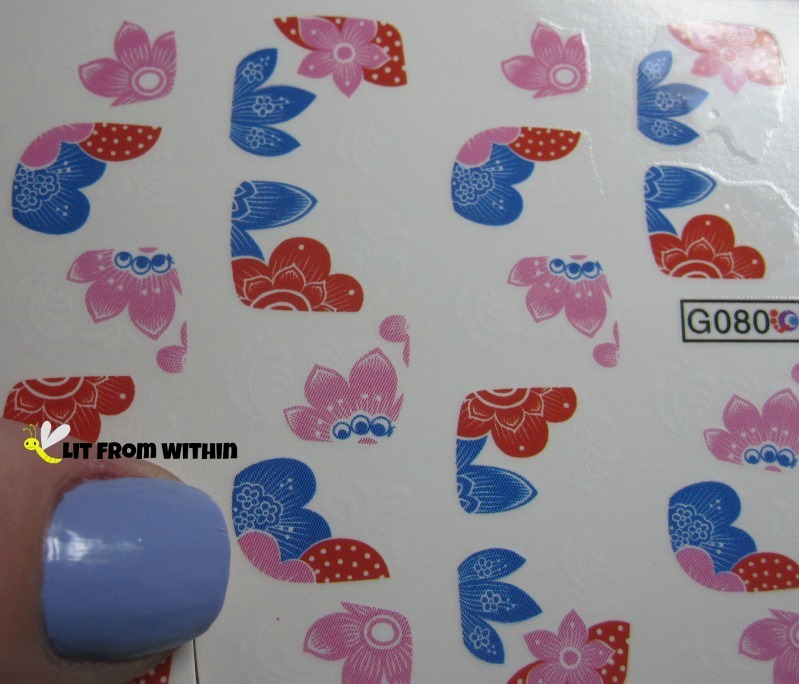 I love that the sheets of decals have different sizes on them, so I can pick a smaller one for my pinky nail, and a bigger one for my thumb - but they're not like full nail polish strips that have to be matched to the exact size of your nail. The background of the decal is clear, and the edges just melt away. If you'd like to go shopping at the Born Pretty Store, feel free to use my coupon (GVX31) for 10% off! . Born Pretty Store can also be found on Facebook, Twitter, Instagram, Tumblr, and their blog. Those decals are nice! Looks good here. Those decals look so perfect on your nails, and I love the color combo of polishes you used with them!!!! These decals are awesome. I soooo need them. Anything to help me get better looking nails I am in. Great post!! 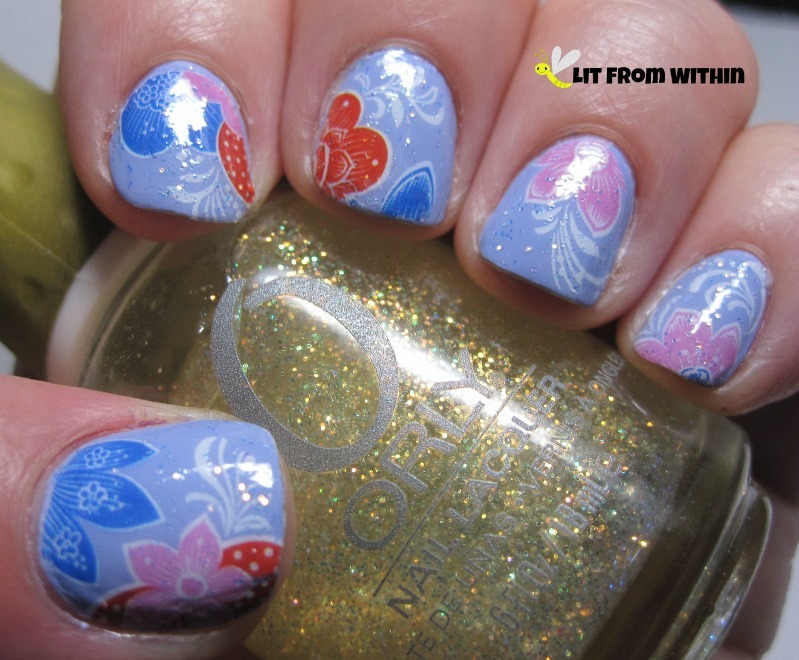 I love water decals and I love this mani!! I am ALL about that shade! I'm not much of a mani gal but I think this would make a cute pedi! 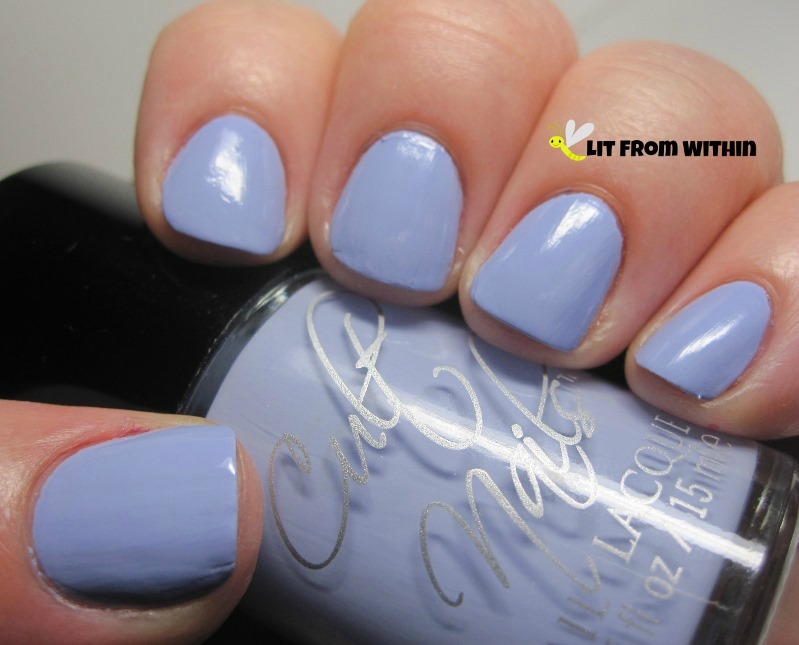 This is one of my fave mani's ever from anywhere! Love it! What a fantastic design! Love the color combinations and patterns. This turned out so nicely! Those decals are super cute! Those water decals look GREAT! hi，guys,you can get it from www.bornprettystore.com . If you use GVX31 , you can enjoy 10% off discount !!! We have week giveaway ! !Follow to win !! !Surprise !! !COME ON !!! Those decals are PERFECT on the base! Gorgeous mani! I've always been intimidated by decals, but you make them look so easy. Can I tell so a secret? I never tried decals, it's a shame I know! oh my gosh, those nail decals are so stinkin cute! I totally want them.